There is “democratic capitalism”, and there is “fascist capitalism”. What we have today is fascist capitalism; and the following will explain how it works, using as an example the case of Greece. In other words: by the time of December 2009, word was out, amongst the aristocracy, that only suckers would want to buy it from them, so they needed suckers and took advantage of the system that the aristocracy had set up for governments to buy aristocrats’ bad bets — for governments to be suckers when private individuals won’t. Not all of it was sold directly to governments; much of it went instead indirectly, to agencies that the aristocracy has set up as basically transfer-agencies for passing junk to governments; in other words, as middlemen, to transfer unpayable debt-obligations to various governments’ taxpayers. Whitehouse presented no indication as to whom those investors sold that debt to, but almost all of it was sold, either directly or indirectly, to Western governments, via those middlemen-agencies, so that, when Greece will default (which it inevitably will), the taxpayers of those Western governments will suffer the losses. The aristocracy will already have wrung what they could out of it. The assumption that the aristocratically-owned press want to convey is, like the sucker there said: consumers, and not bondholders, receive these bailouts from taxpayers. They actually receive none of it. They didn’t receive the loans, and they certainly aren’t receiving any of the bailouts. In fact, the contrary: Greek consumers have been getting hit so hard by the aristocracy’s system (dictatorial capitalism, otherwise known as fascism), that they’re suffering an enormous depression — this is even a condition, a requirement, of such “bailouts.” It’s called “austerity,” and it’s imposed by the IMF. And yet, millions of suckers go for the inference that the aristocrats’ ‘news’ media convey. After all: would people such as Mark Whitehouse have been hired or keep their jobs at major ‘news’ media such as Bloomberg ‘News’ if they didn’t convey this false impression? He’s just doing his job; he’s doing what he’s paid to do. It’s enormously profitable for his employer and for “the investment community” worldwide. The whole system is a money-funnel, from the public, to the aristocracy. Goldman Sachs conspired with [actually: were hired by] Greece’s corrupt kleptocracy to conjure up an illusion of solvency and fiscal prudence so Greece could join the Eurozone [despite Greek aristocrats’ massive tax-evasion, which created the original problem]. Vested interests and insiders gorged on the credit being offered by German and French [and other] banks, enriching themselves to the tune of tens of billions of euros, which were transferred to private accounts in Switzerland at the first whiff of trouble. When informed of this, Greek authorities took no action; after all, why track down your cronies and force them to pay taxes when tax evasion is the status quo for financial elites? If Greece had defaulted in 2010 when its debt was around 110 billion euros, the losses would have fallen on the banks that had foolishly lent the money without proper due diligence or risk management. This is what should have happened in a market economy: those who foolishly lent extraordinary sums to poor credit risks take the resulting (and entirely predictable) losses. 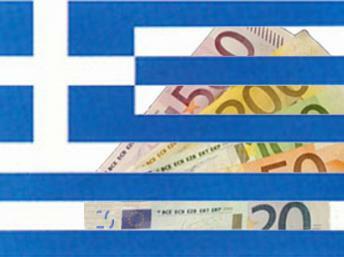 The Greek Government currently owes 323 billion euros — almost three times as much. The debt rose 213 billion euros, during 5 years of IMF-imposed “austerity” — the Greek depression. What even Smith fails to recognize is that this money was not ‘foolishly lent.’ (No more, for example, than the Wall Street banks that had tanked the U.S. economy but grew even larger by doing so, had ‘foolishly lent’ it.) The foreign lenders were deceived by lies from the Greek aristocrats’ agent, Goldman Sachs, but, even so, were ultimately able to sell their garbage to Eurozone taxpayers, not always at a loss as compared to what they had originally paid for those bonds; and the original owners of those bonds were receiving interest from those bonds, throughout. Even Smith has been somewhat duped by the aristocracy’s blame-the-victim basic message, that the people who walked off with this money were the Greek public — not Greek aristocrats. Another well-informed economics-writer, Peter Schiff, likewise is suckered by that false message from aristocrats. He writes: “It’s hard to feel sorry for the [Greek] people standing in lines at the ATMs when they knew this was coming every day for the last four years.” As if they necessarily did. But, even though some did, the accusation that those people are to blame is still off-base. Schiff, a libertarian, goes on to say: “When you borrow more than you can pay back and your creditors have cut you off there are no good options. Your lifetomorrow is going to be worse than it is today; it is just a question of how you want to take the pain.” He’ too, implicitly cast blame at the public, not at the aristocrats, who actually have been bailed-out by the public. In way of contrast, democratic capitalism is bailing out only the public, when times go bad, just like FDR did during the Great Depression, and like socialist countries (Norway, Sweden, Denmark, and Finland, being examples) still do. The aristocracy have managed to fool the public to equate aristocrats’ fascism with ‘capitalism,’ and to equate democracy with ‘socialism’ (meaning, to them and their suckers, communism, or even fascism itself), so that the public will falsely think that what we now have is ‘the free market’ — something that cannot even possibly exist, anywhere, because every economy (every market) is based upon laws that determine who owns what, and who owes what, and under what circumstances, in accord with what laws and economic regulations, all of it being subject to the police power of the State. This ‘free market’ is all a big aristocratic con. It’s just as big as the con that the present Greek government — which had promised, and whose voters a few days ago reaffirmed with a 61% to 39% vote for no more “austerity” — are now delivering, to their victims. This is not democratic capitalism. It is not socialism. It is, instead, fascism. It is dictatorial capitalism. We have it in the United States. And it predominates also in the Eurozone. In fact, it predominates around the world. And its grip gets tighter every year now in the United States.